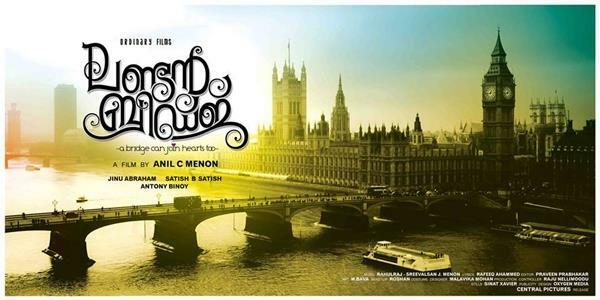 London Bridge malayalam movie directed by Anil C Menon with Prithviraj, Andreah Jeremiah and Nandita Raj in lead will be exclusively shoot in UK and Scotland. The script of the movie is handled by Jinu Abraham who had made an impressive debut with 'Masters'. Produced by Sathish Antony Binoy, this movie will also have Prathap Pothen, Mukesh, Sunil Sukhada, Bhama and Lena in supportive roles. Heartthrob Prithviraj is gearing up to make 2013 the best in his career. After crowning the state best Actor award, Prithviraj will don important characters in those movies which he has already committed. Riding on the top of getting positive reports about his recent release 'Mumbai Police', Prithviraj has given dates for yet another movie titled 'London Bridge' which will start rolling from 1st June. Having a tight schedule planned for 60 days, the movie will be shot at the exotic locations of United Kingdom, especially London and Scotland. This project is helmed by Anil C Menon who had proved his mettle as director for hits like 'Ben Johnson', 'Rasthtram' and 'Collector'. The script of the movie is handled by Jinu Abraham who had made an impressive debut with 'Masters'. Young beauties Andrea Jeremiah and Nanditha Raj would don important roles in the movie. Produced by Sathish Antony Binoy, this movie will also have Prathap Pothen, Mukesh, Salim Kumar, Sunil Sukhada, Bhama and Lena in supportive roles. This movie would be a visual treat for the malayali audience which they could observe the life of non-resident keralites living in the United Kingdom. 'London Bridge' tells the importance of relationships while it shows how love and empathy triumph against ambition and dreams. 'London Bridge' will be produced by Satheesh and Antony Binoy under the banner of 'Ordinary films' which already had committed a few projects including Priyanandan's Odiyan, Rajesh Pillai's Motor Cycle Diaries and Dileep's Production No 5. The Pooja and switch-on was held in Malayalapuzha Temple on 10th May. The function was blessed with the presence of producers Satish B Satish and Antony Binoy, director Anil C Menon, script writer Jinu Abraham, heroine Nandita Raj, and other crew members. Prithviraj would be paired with both Andrea and Nandita. Andreah Jeremiah is better known to the Malayali audience as Anna of 'Annayum Rasoolum' who has already the dearest actress to the Malayali movie lovers. Nanditha who made her acting debut with in Teja's "Neeku Naku" hasalso starred in "Premakatha Chitram" with Sudheer Babu. The publicity designs set by Oxygen Media has already had good responses from the online world.